We look forward to seeing you on the fairways soon! 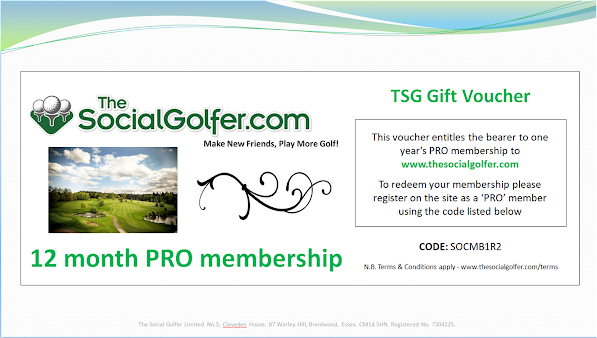 TSG PRO MEMBERSHIP GIFT VOUCHER - BUY NOW! PLEASE NOTE: Once you have completed your purchase, your voucher will be emailed to you within 24 hours. If for any reason you have not received your voucher within that period, please check your spam file for our email.... if you are still not receiving your voucher, please email us at theteam@thesocialgolfer.com, and one of our team will respond to the problem straight away.